Clam Harbour is the best beach I've been to locally - the water is WARM to swim in and is amazing. It is a Provincial Park so it has a canteen, shower, washrooms (with flush toilets!) and lots of parking - and please note - all provincial parks are on leash areas. One note though if you don't like crowds - DO NOT GO ON SAND CASTLE BUILDING DAY - it is one day a year that they have this contest and there are 1000's of people on the beach and parking is a nightmare. One year we went by accident and we had to park the car and walk for 45 MINUTES!!! It is also quite far away from Halifax - about a 1 hr drive. You go through Dartmouth onto Portland Street and then take the #3 Highway all the way to the end and follow the sign directions. It is a nice drive through some cute villages though, if you are into that! It is a very long beach with beautiful white sand and for some reason the water is really warm. Like all beaches though fog can come in and blanket the area in seconds which is a drag. Lots of people take their dogs there and tie them to their umbrellas or whatever. 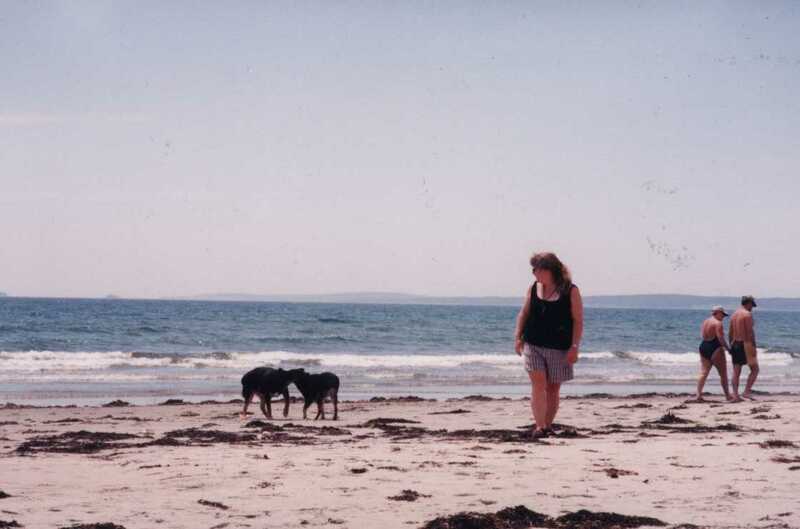 I prefer to just hike down the beach far enough away from the people and let the dogs go. We have never had a problem, although there are park employees who drive down the beach on 4 wheeler motorcycles. And if you are allergic to horseflies (like I am!!) take some benadryl with you! 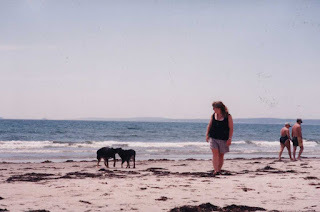 It is the best place if you are looking for a day trip where in the middle you can languish on a beautiful white sand beach, have a picnic, a swim, and throw the ball or walk with the dog. Make sure you bring extra water for the dog to drink, and expect to have to go outside a couple extra times that evening because of all the salt water that was lapped up! !